Sign up for Broadjam today to follow K8, and be notified when they upload new stuff or update their news! What do you expect when it?s 38 degrees? Jingle?s playing ?sip a reef or two? 38 degrees, 38 degrees ? A pounding pop/rock song that grabs you where it should! A sensual and memorable piece of music for K8 to add to her already increasingly popular list of dance & pop/rock singles. Listen to the individual and different sound of K8! Luscious - luscious - luscious - luscious ? 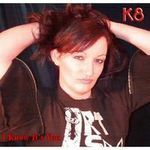 K8's third single release (Nov 2005) Driving rock guitar riff over driving dance/club rhythm with a chorus that stays in your head for days! 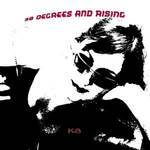 K8's fourth single release (Jan 2006). 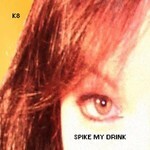 A guitar driven mainstream pop/rock song with a memorable chorus and a different edge that is the sound of K8. A great song!